Mumbai: Where's the Money At? Chatrapati Shivaji Terminus, formerly Victoria Terminus, in Mumbai. Photo by thebigdurian on Flickr. Money spent on different types of transportation has little or no relationship with the way people actually move. The government proposes to make the biggest investment – close to Rs 139,000 crore – on Metro and suburban rail, but only about 22% of people ride the train. 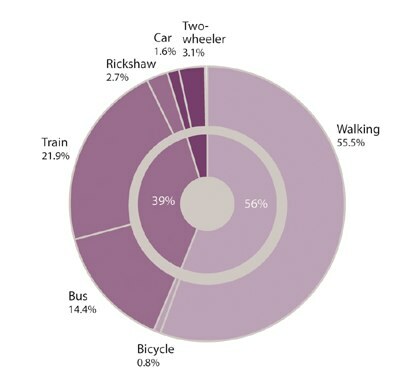 Instead, most people (56%) walk or bike. Authorities would also like to spend a hefty amount – more than Rs 55,042 crore – on the highway system, but less than 2% of people travel by private car. Other than walking and taking the train, most people (14%) travel by public bus, a system that is receiving a proposed investment of only Rs 4,280 crore. 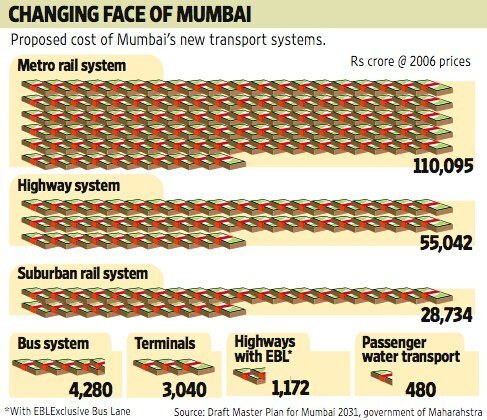 Given the current mode shares of transport in Mumbai, the financial allocation appears highly inequitable. The plan caters to the upper middle class by being metro rail- and car-centric. The largest constituency of travelers – pedestrians and bicyclists – who make up 56% of the travel demand aren’t represented. It would have been nice to see resources allocated to providing infrastructure for them. 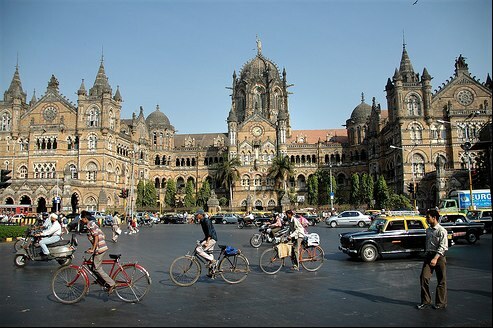 The proposed investments are part of the Maharashtra government’s plan to spend about Rs 2 trillion in transport systems for Mumbai over the next 20 years, starting in 2011, in an attempt to improve the city’s poor transportation infrastructure. The master plan, which lays out the infrastructure building priorities of the local administration, has been termed the Mumbai Business Plan 2031, drawn up by Canada-based consultants LEA International Ltd. and LEA Associates South Asia Pvt. Ltd.